Andrea Oberheiden-Brent studied German literature and media studies, philosophy, and art history (M.A.). She is a certified social media manager and received additional training and qualifications in film direction, editing, and graphic design. She works as a freelance filmmaker, translator, (subtitle) editor, and author. Wyman Brent is a native-born American and studied communication and public relations (B.A.). He worked as a real estate instructor and as a book salesman for many years before he founded the Vilnius Jewish Public Library in Lithuania in 2011. Wyman works as a freelance English instructor, independent contractor for an investment firm, and artist. Jens J. Reinke studied German literature and media studies, Anglistics, and art history (M.A.). He has worked as an art historian and content producer for a huge, Northern German antique shop for many years and has long-term experience in private tutoring and as a volunteer teacher for German as a second language. Andrea is the CERTIFIED SOCIAL MEDIA MANAGER in our team and therefore proficient in the areas of the DEVELOPMENT, CONTROLLING, and MONITORING of a company’s COMMUNICATIONS STRATEGY, FEEDBACK ANALYSIS as well as the EVALUATION of MONITORING DATA. Our entire team has extensive knowledge in social media, and every one of us is experienced in PRESS AND EDITORIAL WORK in the fields of EDUCATION, MARKETING, and CULTURE. Andrea acquired PROFOUND KNOWLEDGE in PSYCHOLOGY during her psychology studies that prove to be beneficial for the work of a social media manager, along with the mandatory rhetoric and communicational competence. Experiences in MARKETING and PUBLIC RELATIONS complete our set of skills. 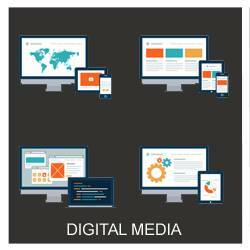 The final choice for the most appropriate social media channel(s) for you business depends on the particular type of business and its communications and marketing strategies. 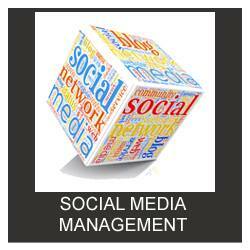 Our main experience lies in the social online networks FACEBOOK and GOOGLE+, the microblogging service TWITTER, and the content provider YOUTUBE. Our longtime work as filmmakers as well as Andrea’s experience as subtitle editor of multilingual commercial and educational films, makes us also suitable for you as VIDEO PRODUCERS. Andrea has been the EDITOR at AJ-Images.com from the very beginning in 2006. She has years of experiences with ADOBE PREMIERE PRO and the editing of documentary shorts, features, podcasts, trailers, and radio features. 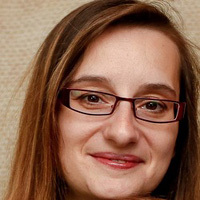 Andrea has worked as a SUBTITLE EDITOR of bilingual commercial and educational films for a renowned sports equipment and clothing company for several years, including TRANSLATIONS from German to English and the creation of TRANSCRIPTS. Besides her own work experience, Andrea is continuisly trained in editing at INSIDETHEEDIT.com. If your small or medium-sized business is looking for an image film, or if you are looking for a CONTENT PRODUCER who can deal with the complete package of WRITING, FILMING, and EDITING, AJ-Images is ready for you. Besides her practical experience as a filmmaker, editor, and social media manager, Andrea recently enrolled in a bachelor-level DIGITAL MEDIA course at a German online school offering training in MEDIA ECONOMICS, MEDIA TECHNOLOGY, MEDIA MANAGEMENT, and MEDIA DESIGN which combines the areas of digital media and COMPUTER SCIENCE. The program focuses on the acquirement of knowledge in the development of MULTIMEDIA APPLICATIONS, including WEBSITE DESIGN, virtual reality modeling, and the programming of web clients, and offers a specialization in SOUND and FILM (incl. ANIMATION). 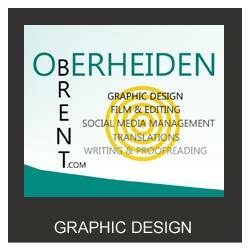 GRAPHIC DESIGN is the most recent service we offer. Andrea has created DVD covers, flyers, posters, logos, and has been responsible for main parts of the web design for AJ-Images.com. She attended a design workshop in Hamburg in 2014 and began her PROFESSIONAL TRAINING in graphic design at OfG, a German online school for design, in 2016. Since her professional education in this field is not yet complete, our prices are below average market prices – but do not draw conclusions from that to the quality of the work. Andrea works with ADOBE PHOTOSHOP, ADOBE INDESIGN, and ADOBE PREMIERE PRO. Try her out! 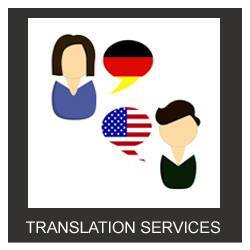 We TRANSLATE all kinds of texts from GERMAN to ENGLISH and from ENGLISH to GERMAN. 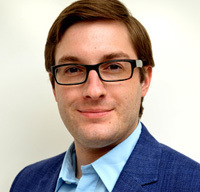 With Wyman Brent, we have a NATIVE ENGLISH SPEAKER in our team. Andrea and Jens are NATIVE GERMAN SPEAKERS. Jens holds a M.A. degree in anglistics/English studies. Andrea has experience in translating family documents (birth, marriage, death certificates) from the 1910s – 1960s, personal correspondence, academic texts, and insurance policies. We offer EDITORIAL SERVICES and solid CONTENT PRODUCING. 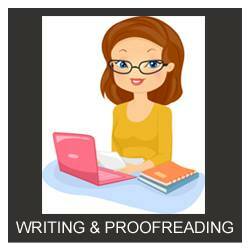 We correct all kinds of texts and are experienced in WRITING and PUBLISHING. Our correction includes the improvement of texts regarding SPELLING, GRAMMAR, STYLE, and CONTENT. 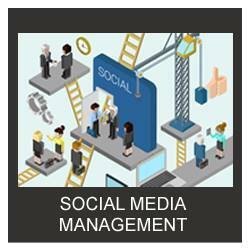 We have extensive experience in the fiels of academics (arts & humanities), but also in MARKETING and SOCIAL MEDIA. We furthermore offer TEXT PROCESSING SERVICES, such as typing of correspondence, a thesis, or any documents in English or German from draft, oral dictation, or dictation tape. We are all experienced teachers of ENGLISH AND GERMAN AS A SECOND LANGUAGE. 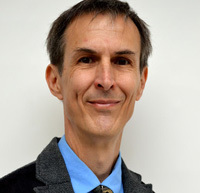 Wyman Brent is a NATIVE ENGLISH SPEAKER; Andrea and Jens are NATIVE GERMAN SPEAKERS. 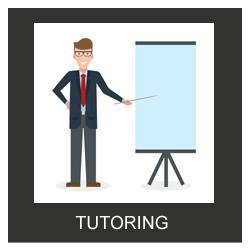 We also offer PRIVATE TUTORING in GERMAN, ENGLISH, PHILOSOPHY, RELIGION, HISTORY, and GEOGRAPHY. Individual, group, and distance courses are available.